Eyes of Africa 2007 Fundraiser Press Release – One World Sight Project, Inc.
Newport Beach, CA – October 15, 2007-BOTOX® Cosmetic injector Richard Weiss, MD has organized physicians from around the country for a unique national fundraiser to be held on Friday November 16, 2007. All profits will be dedicated to curing blindness in Africa through the Eyes of Africa Initiative of the One World Sight Project. The Eyes of Africa Initiative will take the growing trend of women and men getting treated with BOTOX® Cosmetic in the United States and turn it into a philanthropic call to action to end blindness in Africa. Cataract is responsible for almost half of the 7 million blind Africans despite the availability of a simple $25-50 procedure that could permanently restore their sight in a matter of minutes. The goal is to expand on the success of a pilot project in 2005, when 49 patients were treated in one day, which raised funds that cured 132 people of blindness in Tanzania and Tibet. The previous fundraiser was local to Southern California but this year’s event will span the entire United States, with over $175,000 raised so far from more than 40 physicians around the country. Allergan Medical, a division of Allergan, Inc. (makers of BOTOX® Cosmetic) has again donated enough product to support the fundraising initiative and the doctors are entirely donating their time. Over 1000 people around the country will help by having a minor cosmetic procedure. 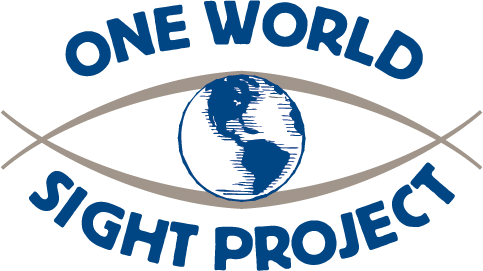 Weiss was inspired to create the One World Sight Project to combat curable blindness in the developing world by a song that he wrote about the plight of the blind in 1988. Soon after, Stevie Wonder’s participation as a nominal OWSP Special Advisor created unique consensus and excitement within the international ophthalmology community that led to the adoption of plans to eliminate worldwide curable blindness. The current Eyes of Africa initiative will support the completion of the first comprehensive training center for community ophthalmology in Africa, located in Moshi, Tanzania (near Mt. Kilimanjaro). In addition to sustainable development plans, there will be a relief component, with hundreds of live cataract surgery procedures being performed in Africa simultaneous with the fundraising. More information can be found at www.endblindness.org.